Janine Elliot takes a step down memory lane with the much loved Leak Stereo 20 power amplifier. Dominic Marsh concludes his popular three part series on mains cables. Ian Ringstead takes a look at the state of the hifi industry and asks what we can all do to boost the popularity of two channel audio in the home. Mike Twomey tells us how best to strike a great deal with your retailer this holiday season. 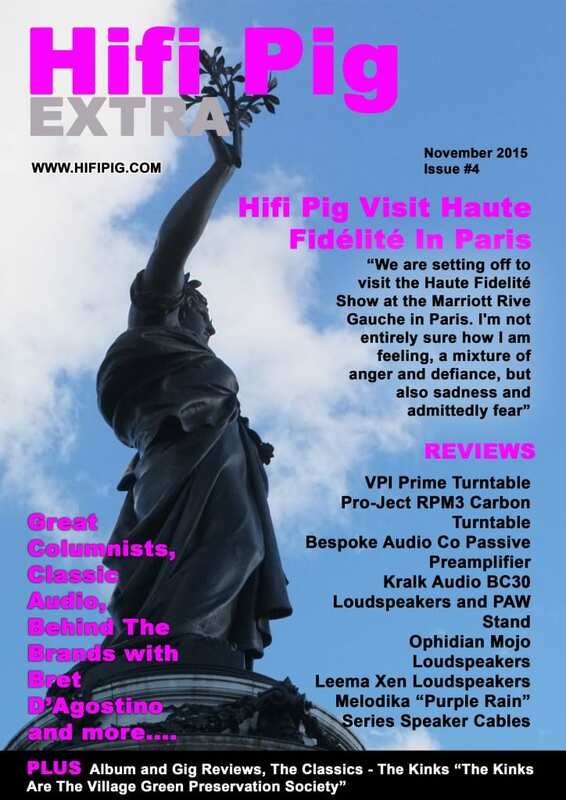 The latest of Hifi Pig Extra is out and ready for you to download…AND IT’S FREE. It’s a fab issue with loads of reviews, loads of music reviews, live music, great columnists, a great Readers’ Lives article that follows a father and son through their audiophile journey, Forever Changes by Love is the Classic Album and there’s a Behind The Brands Interview with Frederick Davies.